A walk along the jetty in Robe is a walk out over the ocean and into spectacular sunsets. It may be tiny but the historic beach-side town of Robe, which is nestled between Adelaide and Melbourne in South Australia, has a lot more to offer than just the views. There are 10 experiences you’ll want to tick off your list if you’ve booked in a trip to the Limestone Coast. For a quintessential English pub vibe with Coopers on tap look no further than the Caledonian Inn. Exterior of the Caledonian Inn in Robe (photo: Michael Wee). If you’re visiting during the colder months, be sure to grab a vino and cosy up beside the open fire. For those visiting Robe in summer get yourself a cocktail, enjoy the live band and have a meal in the one of their three main dining areas. The menu has been shaped to reflect the best the region has to offer by using fresh, local produce to showcase the flavours of the Limestone Coast. If you would rather not worry about making your way back to your hotel at the end of the night after a few drinks, then make sure you book ahead to secure a room in the establishment’s beachfront accommodation. Neil Welsh of Robe’s Ice Cream Shop (photo: credit Fleur Bainger). No coastal holiday would be complete without a visit to the local ice cream store, and Robe’s Ice Cream Shop is not one to be missed. Set yourself a challenge and see how many of the 45 flavours you can get through during your trip. South Australian slow-brewed beer from Robe Town Brewery (photo: Michael Wee). At Robe Town Brewery, watch the process from the pouring to the capping. This small family-run boutique brewery is open Tuesday-Saturday and offers a main range, seasonal release and limited release of beers. Don’t miss the chance to sample the local brew. Sails Restaurant has some of the best fancy fare in town, with a focus on fresh seafood. Chef Adam Brooks changes the menu according to the season, which means you’re guaranteed to taste the best local food paired with regional wines. Grab a traditional, tongue-burning, chicken-salt-dusted fish-and-chip bounty at Robe Seafood & Takeaway for less than a tenner. Robe surf instructor, Charlie Bainger (photo: Fleur Bainger). After travelling the world teaching foreigners how to surf, Charlie saw a gap in the market in his own town and jumped at the chance to teach others how to surf in Robe. Now the school offers up to four classes a day, and their own merchandise so you’ll have a memento of the time you learnt to surf on the Limestone Coast. Lessons run for two hours and are designed for all ages and stages. Charlie’s Surf School, Third Ramp, Long Beach, South Australia. The iconic pyramid-like, red- and white-striped lookout known as the Cape Dombey Obelisk has been warning ships of Robe’s rocky reefs since 1855. Some 30 vessels were wrecked in Guichen Bay alone in 1953. The town’s 12-metre icon was originally white, but was painted in red bands after complaints it was too hard to see. The rocky limestone ledge it sits on has been dramatically eroded by wild seas and is expected to one day crumble into the ocean. Robe locals are rather divided over what to do about it – there’s even a Save the Obelisk Society. Two walking trails around the Obelisk grant lovely views of the limestone ridges and frothing Indian Ocean below. Custom’s House, part of Robe’s multicultural history. Some 16,500 Chinese sailed to Robe between 1857 and 1863, walking more than 400 kilometres from there to the Victorian Goldfields. The arduous journey was motivated by a desire to avoid the Victorian government-imposed restrictions on Chinese immigrant numbers. At the time, Robe had only 200 residents, so the new arrivals easily dwarfed the coastal community. There are several remnants through the town (though no Chinese restaurant! ), from the Custom’s Office atop Royal Circus roundabout, which was built to process the fortune hunters, to the Chinese Monument, marking the spot where they arrived on the Robe foreshore. You don’t have to go far to sample what’s on offer from the local boutique winery Karrata Wines. Offering a mix of sparkling, whites and reds, there is sure to be a bottle to suit every wine-lover’s palette. The Tasting Room is located in the town centre and is open everyday 11 am to 4 pm, while the vineyard itself is a short drive outside of town. If learning to surf isn’t to your liking, four-wheel driving might be more your speed. Robe’s Long Beach can be accessed by all vehicles and is a great place to start if you are on the inexperienced side. If you are after something a little more challenging, take a trip south to Little Dip Conservation Park for some soft-sand drives and sand dunes. 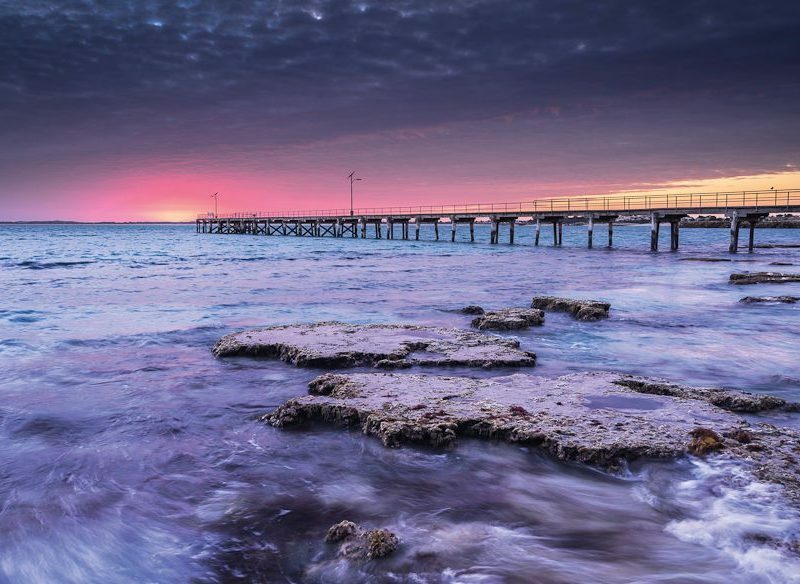 If you like the look of a Robe getaway, make sure you check out our South Australia travel guide, so you can ensure you read up on the very best the region has to offer!